1. 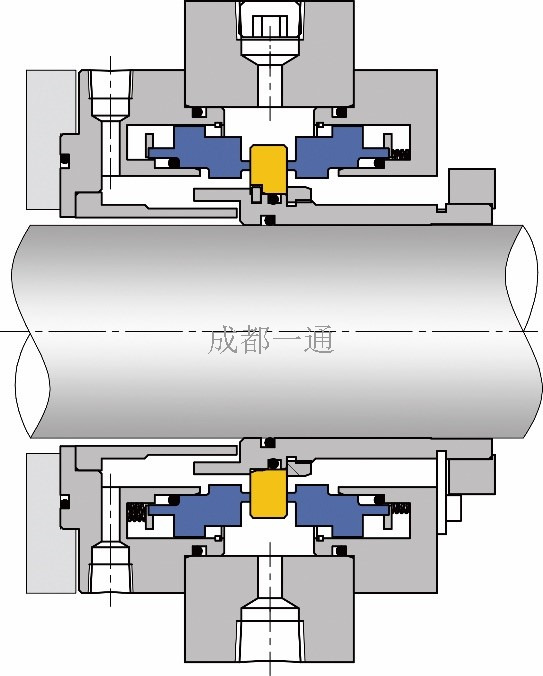 Dual face cartridge type, dry running structure without bearing. 2. Adopts static compensation method with strong anti-wave feature. 3. Contacting dry running design with less nitrogen consumption. 4. According to hygienic standard requirement, drainage device is optional to reduce dust pollution. 5. If the materials in contact with the medium are FDA certified, the seal can be used in pharmaceutical industry. 6. Suits for up stirring work enviornment. Suits for special working condition.